G.R. Stibitz designs the first binary relay calculator. G. R. Stibitz and E.G. Andrews build the first electric computer for routine use, the Bell Labs Model I relay computer. S. B. Wright and E. R. Taylor develop an analog adder that used the algebraic sum of the route-mean-square values of several wave forms to control transatlantic radiotelephone facilities. C.A. Lovell and D.B. Parkinson develop an analog computer to control aircraft guns. A.W. Horton invents the AND gate diode logic circuit, and the next year W.H.T. Holden invents the OR gate. Based on Lovell and Parkinson's work, Bell Labs develops the analog M-9 gun director for the U.S. Army. Each year saw the introduction of the Bell Labs Model II, Model III and Model IV relay computers, respectively, that remained in service for 13-15 years. G.R. Stibitz first uses error-correcting codes in his Bell Labs Model II computer. The first of the Model Vs is delivered to the U.S. National Advisory Committee for Aeronautics at Langley Field, Va.
J. Bardeen, W.H. Brattain and W. Shockley invent the transistor. R.W. Hamming shows a systematic and optimal way to make correctable any single-bit error in a block of data. Claude Shannon develops his Information Theory, which determines how much information can be sent per unit of time in a system with a given, limited amount of transmission power. D.W. Hagelbarger develops error-correcting codes to cope with bursts of errors. E. Lakatos develops the general purpose analog computer (GPAC), nicknamed Gypsy. W.H. MacWilliams Jr. is probably the first to use transistor circuits as part of a simulated warfare computer. Bell Labs Model VI relay computer is used for in-house computing. It ran for 15 years. Develops the general-purpose, all solid-state Transistor Digital Computer. V.M. Wolontis and D.C. Leagus develop the higher L1 language, later called Bell 1 interpreter. Later R.W. Hamming and R.A. Weiss develop L2. 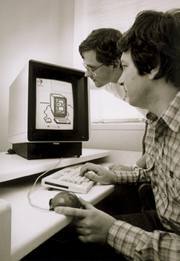 Both were predecessors to a succession of Bell Labs programming languages to make computers easier to use, more productive, and better matched to applications. Though not using computers, Bell Labs demonstrates that low-speed (600 baud) computer-generated data could be transmitted over normal long distance telephone lines dialed at random. D. McIlroy and D.E. Eastwood describe how macros can be used to extend any programming language to meet a user's specific needs, anticipating the later use of "pipes" in UNIX.*. Develops ALTRAN, an algebra translator computer language used to drive a package of subroutines for symbolic algebra. Bell Labs, MIT and General Electric try to develop the Multiplexed Information and Computing Service (Multics), as a successor to BESYS (Bell Operating System) and the Compatible Time-Sharing Service (CTSS) system of MIT. V.A. Vyssotksy coins the term "process" for Multics. Bell Labs develops the No. 1 Processor for the 1ESS® central office switch, which later evolved into the No. 1A processor for the 1AESS switch. Develops L6 language, permitting programmers to write in a language closer to machine language. W.D. Farmer and E.E. Newhall demonstrate an experimental loop system for interconnecting digital devices. Bell Labs disassociates itself from the Multics project and Kenneth Thompson develops the UNIX operating system. J.R. Pierce proposes a hierarchical interconnecting loop network for high-speed data communications, with users responsible for their own signaling and error control. A.G. Fraser begins the construction of Spider, an experimental high-speed packet-switched network of interconnected computers and terminals. GROOVE composes, stores and edits synthesized music. UNIX system is supporting word processing in Bell Labs Patent Division and a long distance test room in Charlotte, S.C.; and is handling trouble reports for Pacific Telephone. One of the early computer-based network maintenance tools, the CAROT (Centralized Reporting on Telephone Trunks) system, is field trialed in the San Francisco Bay area. LMOS (Loop Management Operations System), SARTS (Switched Access Remote Test System) and CMS (Circuit Maintenance System) soon follow. 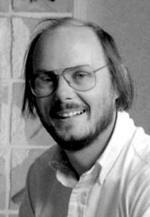 Dennis M. Ritchie writes the C programming language. Digital data service (DDS) is introduced, offering end-to-end digital data transport at rates of up to 56 Kb/s, using end user and private line network equipment developed by Bell Labs. The synchronous baseband data network supports point-to-point and multi-point transmission. UNIX version 6 released to universities. Western Electric, the predecessor organization to Lucent Technologies, begins external licensing of UNIX. B.W. Kernighan and L.L. Cherry use YACC (yet another complier-compiler) to write eqn, a natural language for setting mathematics. B.W. Kernighan and P.J. Plauger popularize the UNIX philosophy of design in their book Software Tools . BOS11 real-time database management operating system developed for PDP-11. Bell Labs Interlocation Computing Network permits a user at one site to run a job at a second site, and direct the results to a third site. The DATAKIT(TM) virtual circuit switch is developed, based on A.G. Fraser's perfect scheduling algorithm, followed by the ISN packet switch for business applications. The StarLAN local area network is developed to provide LAN connectivity over twisted pair wiring at 1 Mb/s and later 10 Mb/s, eliminating the need for coaxial cable connections. UNIX version 7 released commercially. Bell Labs develops the synchronous 6500 series computers; the 3B family of multi-tasking computers; and the asynchronous 615 Business Communications Terminal, the 630 and 730 Multitasking Graphics Terminals, and the 705 Multitasking Terminal. UNIX System III released commercially. Bjarne Stroustrup develops the first version of C++, which combines the expressive power of object-oriented programming (OOP) with the speed, compactness, and flexibility of C, its systems programming language predecessor. David Korn develops the Korn Shell scripting language for systems experts. It is the basis for large-scale systems. UNIX System V, Release 1 released commercially. UNIX System V, Release 2 released commercially. Narendra Karmarkar invents a software algorithm based on linear programming, known as the Karmarkar algorithm, that is used as an optimization tool for solving complex business and research problems that have a huge number of possible solutions. The 1PSS packet switch is developed to support virtual circuit or permanent virtual circuit switching at speeds from 4.8 kb/s to 56 kb/s in packets of 1024 bits or 2048 bits. Rob Pike and Luca Cardelli. Rob Pike and Luca Cardelli develop a computer language, Squeak, that can be used to program computer mice and other interface devices. Access equipment and signaling procedures are developed by Bell Labs to permit switched 56 kb/s data through the 4ESS® toll switch, permitting customers to transmit data on a dial-up, as-needed basis to multiple locations without dedicated private lines between those locations. Bell Labs develops fault tolerant software, an alternative to large mainframe backups, allowing a telecommunications system to "tolerate" hardware faults, and some of the design and coding faults built into them. Bell Labs introduces Plan 9, a new distributed computer operating system and associated utilities built by the Computing Science Research Center. Bell Labs then-parent company, AT&T, creates independent Lucent Technologies with Bell Labs as its R&D arm, and removes itself from the computer business by divesting itself of NCR. Bell Labs contributions to computer communications continues with the emergence of Lucent Technologies in 1996.